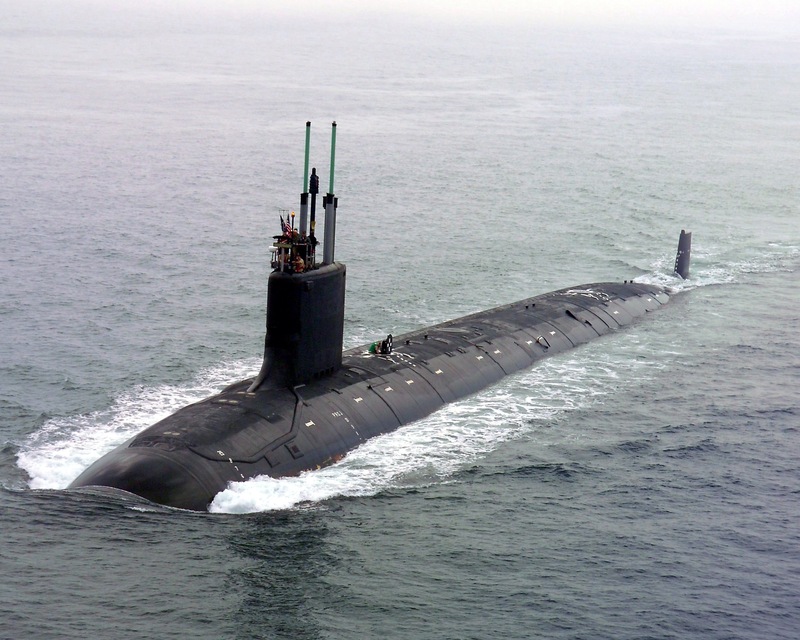 Submarines are awesome man made structures that carry us through unforgivable environment, the heart of the sea! It is built strong to dive in the ocean up to a thousand feet and move under water undetected! This makes it so awesome war machine to launch missiles and torpedoes to the enemy territory and warships. Modern submarines carry enough nuclear weapons to destroy the whole earth twice in a matter of minutes and is able to remain still and undetected for months and maybe years right under the enemy’s nose! 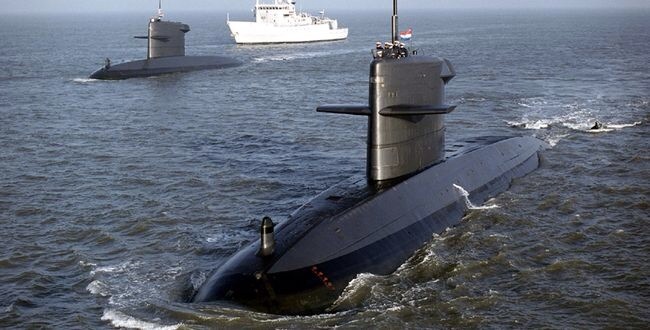 Modern nuclear subs can run for 20-30 years without refueling! Such incredible masterpiece made with such care and precision. A submarine is blind and moves with no eyes but ears! It produces sound waves from a variety of angles and sides of the submarine. When the sound wave hit any object, it sends a signal back to the sub thus making a map out of sound around the submarine. But the most amazing thing that wondered me is its structural strength. As we go down deep into the ocean, the pressure starts increasing, it increases in such a way that at 800 feet below sea, the sea applies tremendous pressure of 370.189 PSI or 25.52 bars of pressure whereas normal atmospheric pressure is about 14.70 PSI or 1 bar! Imagine crushed with 25 times more pressure! No human can survive without any protective gear in these depths! 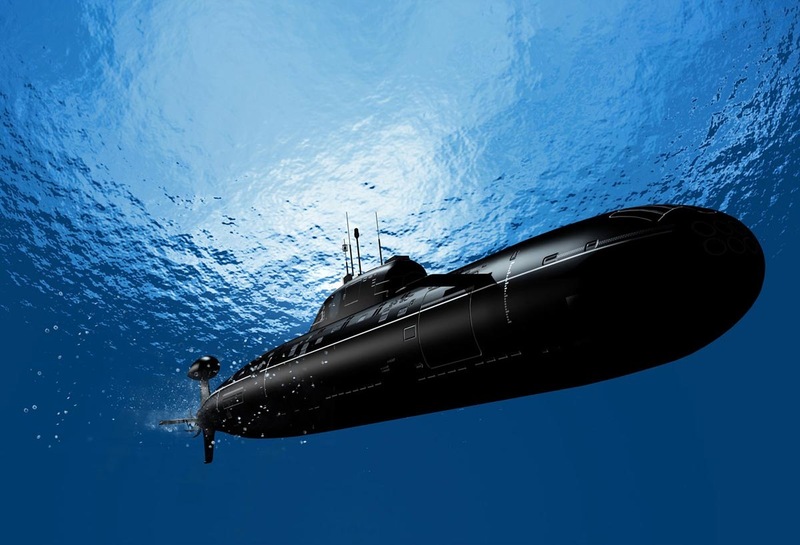 If we dive in an iron made submarine in the ocean, we could feel the tremendous pressure build up from around 400 feet. The submarine will make noise of denting metal outside the submarine, deeper we dive the pressure keeps increasing until at one stage it shear off completely as it cannot withstand any more pressure on it! However, modern submarines are made with titanium and other secret alloys which can take more pressure than iron, hence making deeper dives than ever before up to 1600 feet below sea! 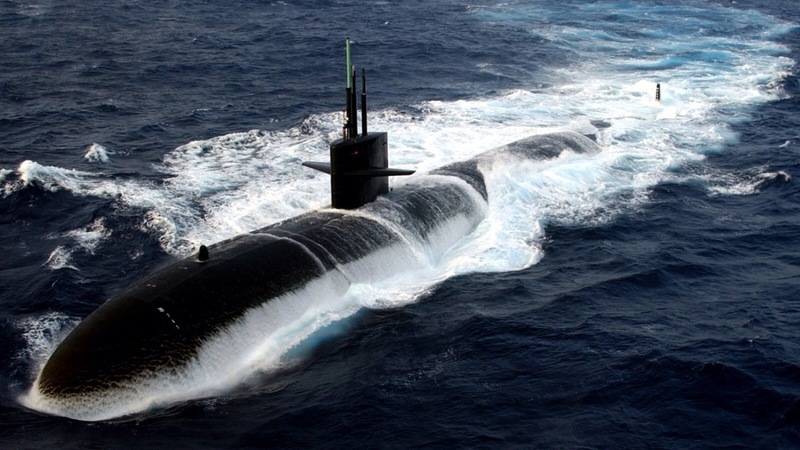 The amazing structural strength of submarines enables the sailors to sail safely under water at greater depths. At 800 feet below sea level when the outside pressure is so immense of 26 bars the pressure inside the submarine is maintained at 1 bar making everyone comfortable and breathe normal as on land! Isn’t that incredible! Thus submarines are an engineering marvel in the modern world! We can relate the submarine experience with our lives. In life we face different sorts of problems and challenges. The pressure of problems varies between individuals. At time, we see people struggling with problems. They undergo a lot of stress because of the problems they face. The more and more problem they face more pressure they get exposed to. It’s like you dive deep into the water. At few feets of depths you are ok. You can handle the pressure. But the more you dive deeper the pressure builds up. And with no protective clothing and devices you don’t need greater depths, but 50 feet of depth can kill you easily! It’s similar to life the more and more pressure you take, the more stressed you become and ultimately you will shear off. But if you dive in a submarine you can breathe easily, even at depths of 1000 feet as you are not taking the pressure, but the submarine is and it makes sure you can breathe as normal as on the ground providing 1 bar of pressure inside where as it’s exposed to 31 bars of pressure outside! The submarine in our day to day life is God! Unlike man made submarines this submarine will never shear off at any greater depths! He is strong and there is no bigger problem than He can’t handle, for He is the creator of the whole universe! If you don’t have God in life you are like diving in the water with no diving suit or any protective gear. You might be able to survive few feets of depths, but when problems strike you hard you sink faster and you won’t be able to withstand pressure of life and ultimately you shear off! This is why Jesus said- “Come to me, all you who are weary and burdened, and I will give you rest. Take my yoke upon you and learn from me, for I am gentle and humble in heart, and you will find rest for your souls. For my yoke is easy and my burden is light.” (‭Matthew‬ ‭11‬:‭28-30‬ NIV). Peter, a poor fisherman who didn’t have any savings was worried when his mother in law fall sick, he had no money to take her to the doctor. He worked the whole night at sea, hoping to catch some fish and take her to the doctor, unfortunately, he didn’t even catch a single fish. He was sad, tired and weary after the tremendous effort and was preparing to go home for rest when Jesus came from nowhere and took him back to sea and caught a great catch which he could not get all by himself, but had to call others for help and later Jesus went to his house and healed his mother in law and she got up and served them! In another instance when he didn’t have any money to pay taxes, while the thought was in his mind, Jesus asked him to go to the sea and open the mouth of the first fish he catch, for there will be enough money to pay taxes for Peter and Jesus! Remembering all these great instances in life Peter, who once was the poor fisherman who became the first Apostle and the foundation of New Testament Church wrote in the his epistle- ‘Humble yourselves, therefore, under God’s mighty hand, that he may lift you up in due time. Cast all your anxiety on him because he cares for you.’ (‭1 Peter‬ ‭5‬:‭6-7‬ NIV). My dear readers, lets not be like the pressure cooker which keeps whistling as the pressure increases making a hostile environment, but be in a submarine where it withstands higher pressures of outside, but maintains the same cool inside! Let’s not struggle ourselves with all pressures of life, instead leave it to God as you inside the submarine. It’s true you’re in the deep sea, but God’s able to bring you out of all the tremendous, dangerous and unforgiving environment to safe shore! Like a submarine, God will hide, defend and protect you from any harm! Instead of sinking in the ocean of problems, sink in the Grace of God, which been given through Jesus on Cross of Calvary! Accept Jesus as Lord and Saviour in life and lead a holy life for greater experience of God’s grace in life. Sink more into the vast ocean of God’s grace rather to the everyday problems in life and enjoy the wonderful life with God every day! All dead matters in life will become live, all fruitless efforts will yield all varieties of wonderful fruits and great healing will take place in all hurt conditions of your life for the glory of God’s name. (Ezekiel 47:1-12 passage given below). Like a submarine deep dive into the sea of God’s Grace rather to the problems of life and enjoy the presence of God in everyday life! I initially read your post because my Brother In Law is a Sailor in a Sub, and I was curious about them. I like your metaphor, God as our Spiritual Submarine is a fantastic way of looking at him and his amazing ness! How sweet! God Bless & bring him home safely. Thanks for the comment 🙂 God Bless! Thank you! Much appreciated! Pls go through other posts when possible 🙂 Have a great weekend! God bless! Thank you and I ll be visiting your blog too. God Bless!